As expected our invite only Elite Events in Oregon and Washington have produced the very best talent in the region. We have seen almost every top kid in the NW attend and you can get some visual interpretations from the Portland video’s. ESPN, Scout, Fox Sports, The Seattle Times, Duck Territory, 1080 The Fan, Dawgman, KATU, Oregon Live and a host of other media have been out to get the first look of the top athletes in the 2014-16 classes. The training sessions allow the top athletes to compete against one another and get better all off season. We have seen D1 offers triple in the northwest, as the kids should be given credit for taking advantage of these opportunities. Through the Barton Football Academy we are able to work with most of the universities throughout the country, promoting our athletes and helping kids find the best collegiate home possible. We are the only local organization to actively work with the different schools so its makes our Elite Events and the NEI/Barton Camp and Combine tour (April-June) that much more important. We are excited to continue helping our northwest kids as the incredible growth of our company is a testament to our northwest families. Enjoy the Portland Elite Event videos that cover the first few weeks of the off season. Reilly Hennessey 6-3 195 Jr. Camas – WA #3 ranked QB 2014′ class; Projected D1 kid , 1st team all league 2800 yds passing 26 Tds. Aidan Wilder 6-0 190 Jr. Central Catholic – OR #1 ranked QB 2014; Could also project as an ATH…Started since his freshman season. Cade Smith 6-1 185 So. West Salem – OR Top 3 QB 2015 (Wyoming offer), brother of current WYO QB Brett Smith, will be a three yr starter. Troy Fowler 6-0 165 Jr. North Medford – OR Top 10 QB 2015, will be a 3 year starter… Natural born leader. Kimane Domena 6-2 180 So. Roosevelt – OR Top 3 QB 2015 (BYU, Color St offer) offered as a QB by Col St and as an ATH by BYU… 16 rush Tds. Nolan Henry 6-1 185 So. Union – WA’s #3 ranked SO 2015. QB, Cousin of NFL QB Kellen Clemens, and a 3 year starter. Willy Pflug 5-11 175 So. Sunset – OR Top 5 QB 2015, 2nd team all league as a soph, outstanding genes. Scotty Hitner 6-3 200 Jr. Cottage Grove – OR Top 5 QB 2014′, State passing leader 2012.. Army All American Combine. Jayden Croft 6-1 175 Jr. Tumwater – WA State title appearance 2012′, nephew former USC QB Brad Otton. Tanner Gueller 6-3 220 Jr. W.F. West – WA WA Top 5 QB 2014, Brother MLB 1ST rd draft choice, 3 year starter. Cole Chandler 6-1 175 So Silverton – OR Top 5 QB 2015 , Plays for Coach Mannion father of OSU QB Sean Mannion. AJ Woodin 5-11 190 Jr. Southridge – Metro League Passing leader, 2 year starter top 3 team state wide. Doonie Johnson 6-0 210 Jr. Clackamas – OR Top 10 QB 2014, stepped in a did a great job in 2012 16 Td passes. JT Greenough 6-1 170 So. Tigard – Talented QB that could challenge for the starting spot at Tigard. Carlin Ables 6-2 190 Jr. Salem Academy – One of the better 3A QB’s in the state… Has looked outstanding. Hunter Huddleston 6-1 210 Jr. Woodland – Tough kid, starting QB/LB… 2 year starter. Ryan Peerboom 6-1 210 Jr. R.A. Long – 3 Year starter, all league athlete, Top 10 WA QB 2014. Clayton Welsh 6-1 180 Jr. Sunset – Ivy league type kid that is probably considered. Jacob Moore 6-4 190 So. Cascade Christian – Impressive young QB from small 3A school; split time as a soph, state title appearance in ’12. Cody Anthony 6-1 210 So. Bend – Will be the starter at Bend and will have to fill big shoes with Jonah Koski leaving. Jess Krahn 6-4 210 Jr. Hockinson – WA Top 5 QB 2014 Class, maybe the best 2a QB in WA. Connor Neville 6-1 165 8th Beaverton Area – One of the top 8th grade QB’s in the country. Sam Noyer 6-3 175 Fr. 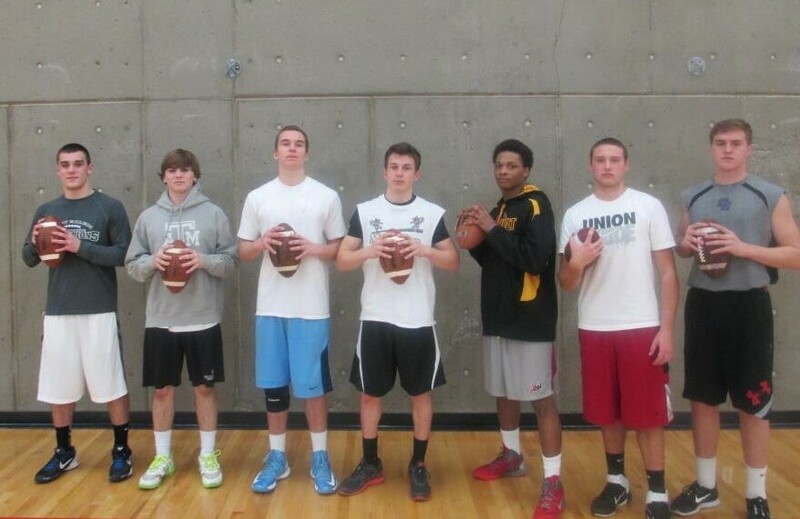 Beaverton – OR Top 3 QB 2016; Outstanding size and athleticism. Jack Hamburg 6-1 175 So. Jesuit – Future Jesuit starter; OR Top 10 2015 QB. Grant Watts 5-10 170 Jr. Centennial – Two year starter; great leader, tough kid. Henry Mondeaux 6-5 245 Jr. Jesuit – One of the top 5 TE’s in America; (Wash, Ore. St) offers.. NW’s #1 ranked Jr. TE. Josh Brown 6-6 240 Jr. Sunset – OR Co #2 TE; 1st team all league athlete; 4 year varsity kid. Brody Haehlen 6-4 235 Jr. Clackamas – OR Co #2 TE; 2nd team all league athlete. 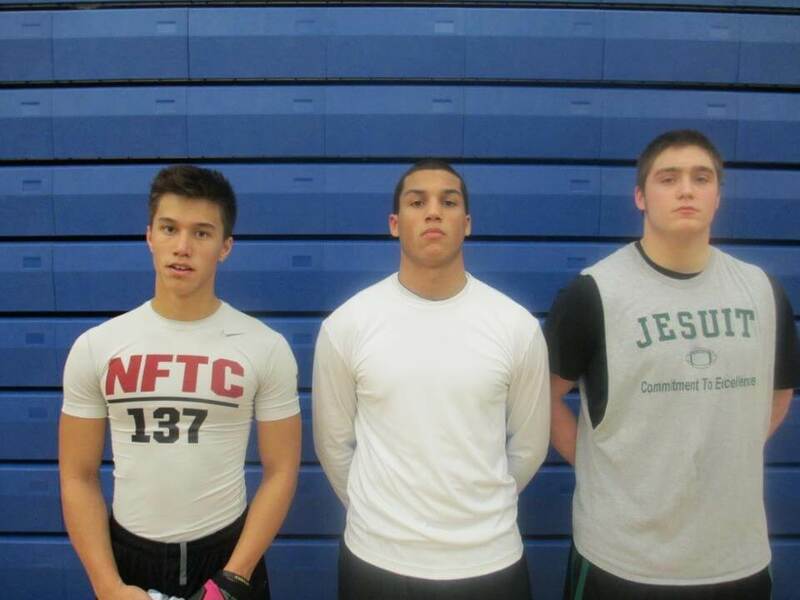 Dylan White 6-5 210 Jr. Camas – WA Top 2 TE 2014; 2 Way threat. Isaiah Hall 6-4 220 Jr. Horizon Christian – D1 size and abilities will be the go to guy next year. Taylor Stinson 6-6 210 Jr. Clackamas – One of the fastest rising TE/WR’s… Also plays LB/DE. Mitch Herbert 6-4 195 Jr. Sheldon – OR #2 ranked WR 2014, state champion, 8 Tds, D1 projection, still raw. Jordan Morgan 6-2 190 Jr. Southridge – OR #1 ranked WR 2014, 1st team all league, 15 Tds. Zach Eagle 5-9 165 Jr. Camas – WA top 3 athlete/db… Co-Conference player of the year, 1st team AP All-State. JR Mclaughlin 6-2 190 Jr. Lakeridge – OR #5 ranked WR 2014 and flying up the charts; led state in receiving before injury. Jeff Bieber 6-4 190 Jr. Sunset – OR #3 ranked WR 2014; has had huge off season so far. Garrett Hitner 6-2 185 Jr. McNary – OR #6 ranked WR 2014, 3 year starter, CVC POY candidate. Zack Davis 5-11 165 Jr. Central Catholic – OR Top 10 WR 2014, Big year next season with Duronslet/Wilson gone. Tyler Dionne 6-3 210 So. Union – WA Top 5 WR 2015… Big strong kid, huge upside. Jared Evans 6-3 195 So. North Medford – OR #1 ranked WR 2015, kids super legit, 3 year starter. Jaray Kindell 6-0 175 Jr. Lincoln – OR Top 10 WR 2014, PIL’s best Wideout. Josh Hansen 6-0 175 So. North Medford – Two way projected starter next season. Jon Neville 6-2 165 8th Beaverton – One of the top 8th grade WR’s in the west. Chase Clark 6-0 170 So. Lakeridge – Big factor for the Pacers this upcoming season. Steven Shockloss 6-3 175 So. Tualatin – OR Top 10 WR 2015; Huge upside, quality basketball kid. Devin Martinez 5-8 190 Jr. Southridge – OR’s #4 ranked RB 2014; 1st team all league as a soph. Brett Hildebrand 5-11 185 Jr. McNary – OR Top 15 back 2014; 1400 yards and 12 Tds 2012. Christian Cummings 5-10 180 Jr. Tumwater – Stepped up big late; state title runner up… featured back next year. Damalia Spires 5-11 200 Jr. Roosevelt – 500 rush yds, 8 total Tds. Billy Nelson 6-1 190 So. Roosevelt – 800 rush yds, 8 total Tds, OR Top 5 back 2015, D1 projection. Daniel Sherrell 5-9 180 Jr. Clackamas – 1st team all league, 2000+ yards and 27 Tds, OR Top 5 back 2014. Anthony Tornio 5-10 180 Jr. Salem Academy – Will be a 4 year varsity kid that should tear up the state coming out of the backfield. Austin Mason 5-9 165 So. Liberty – Future of Liberty football, all league as a frosh. Dominic Shorter 6-0 175 Jr. Canby – 1000 all purpose yards, outstanding overall athlete, OR Top 10 back 2014. Caden Carter 6-0 165 Fr. Sunset – OR Top 10 back 2016, future of the Apollos. Joey Alfieri 6-3 225 Jr. Jesuit – OR’s #1 ranked LB, 2 time 1st team all league LB (UW, Oregon State offers). Sam Bodine 6-2 2220 Jr. Canby – OR Co #2 LB; 1st team all league, will be a 10+ offer kid, TRL POY candidate. AJ Hotchkins 6-0 230 Jr. Tigard – OR Co #2 LB, hardest hitter in the region, 1st team FB/DE. Nick Underwood 6-2 210 Jr. Lake Oswego – OR Co #2 LB 1st team all league, 3 year starter, 2011 state champ. Chase Marshall 6-3 230 Jr. Lakeridge – OR Top 10 LB, 3 year starter, legit collegiate size. Mike Varadi 6-1 225 Jr. Southridge – OR Top 10 LB, 3 year starter, 4.1 student, IVY league Type. Caleb Naughton 5-11 215 Jr. Dallas – OR Top 5 FB, Top 15 LB 2014; One of the state’s leading tacklers. Matt Craig 6- 1 205 Jr. Silverton – 1st team all league, state top 5A defense. Grant Nielsen 6-0 200 Fr. Tualatin – OR Top 5 2016 LB, One of the Pacific Conf’s top freshman. Aaron Washington 5-10 170 Jr. Central Catholic – OR’s #1 ranked CB 2014; Originally from N.Carolina; Lock down corner. Trent Werner 6-1 190 Jr. Jesuit – OR Top 5 DB/Slot 2014, all league two way athlete. Zach Farnes 6-1 200 Jr. Clackamas – OR Top 5 safety; potential D1 projection, one of the state’s 6a leading tacklers. Manu Rasmussen 6-0 165 Jr. Tigard – OR Top 5 DB/RB, Pacific Conf POY candidate on both sides of the ball. Mitch Fettig 6-0 170 Jr. Olympia – 1st team all league athlete; WA Top 10 DB 2014; One of the fastest rising ATH’s. Chandler Schoonmaker 5-11 190 Jr. Tualatin – All league Safety, will be featured RB, OR Top 10 Safety 2014. Michael Gaskell 5-10 165 Jr. Hillsboro – Only all league athlete from (0-10) Hillsboro team; Kids a player. Kellen Strahm 6-0 165 So. Shedlon – OR Top 3 DB/Slot 2015; 2012 State champion; brother OR POY Connor Strahm. Andrew Ripley-Miles 6-0 175 So. Southridge – OR Top 5 DB 2015; All Metro DB as a soph; outstanding physical athlet. Nick Janakes 6-0 175 So. North Medford – OR Top DB/RB; One of the top two way threats in OR 2015. James Schell-Buchanan 6-0 170 So. Roosevelt – OR Top 10 DB; One of the fastest rising recruits in the state. Levi Rotherham 6-1 180 Jr. Sheldon – 2012 state champion and starter; fast with a huge upside. Hayden Kirsch 6-0 170 So. Clackamas – OR Top 5 DB, 2nd Team all league athlete. Connor Humphreys 6-4 250 Jr. Central Catholic – OR’s #1 ranked DE 2014 (Ariz St, Ore St offers); Oregon Def POY Candidate. 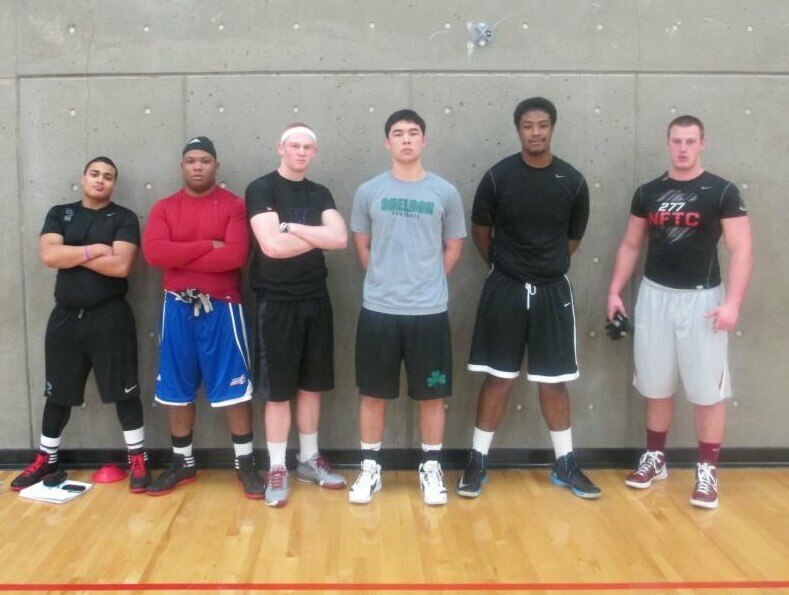 Marquise Royster 6-1 250 Jr. Lakeridge – OR Top 5 DL 2014; 10+ Sacks; D1/NFL genes. Zach Kraus 6-3 270 Jr. Canby – OR Top 10 OL; Will be a 3 year starter/all league athlete, probably C/G. Liam Talty 6-4 225 Jr. Sheldon – OR Top 3 DE; D1 projection.. 2012 state champion, rising quickly. Tyler Cox 6-3 245 Jr. Southridge – OR Top 10 OL ; Huge upside as he is still growing; All Metro OL. 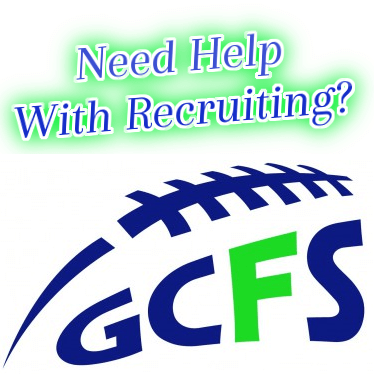 Mike Miller 6-4 280 Jr. Jesuit – OR Top 10 OL; Flying up the charts with legit D1 size. Jordan Hass 6-5 285 Jr. Springfield – OR Top 10 OL; will be 2 year starter, still raw but huge upside due to size. Massen Newton 6-0 260 Fr. Lakeridge – Will be 4 year Varsity kid; outstanding work ethic… Rosyter’s cousin. Caleb Wells 6-7 265 Sr. Grant – 2013 with collegiate projection… Outstanding size. Will Young 6-4 250 JC. Sandy – JC kid that has shown up and done very well… D1 wingspan, huge upside. Shon Atterbury 6-3 265 So. Roseburg – Roseburg’s leader 2015, 3 year varsity starter. Paul Vickers 6-0 225 So. Jesuit – A bit undersized but strong and a warrior inside, will be two year starter. Josh Markham 6-1 230 Jr. Salem Academy – Fundamentally very sound; will be fixture on the line. Kaj Christensen 6-0 250 Jr. Dallas – OR Top 15 DL, 8 sacks..Big 2012 season. JJ Banks 6-1 245 Jr. Marist – Will be a 2 year starter; brother led the state in tackles. Isaiah Smith 6-0 260 So. Roseburg – Will be a 3 year starter, Roseburg D leader.